While Comedy Central &apos;s South Park series drew national attention to a relatively unknown corner of Colorado, the area is vastly different than it appears on the show. 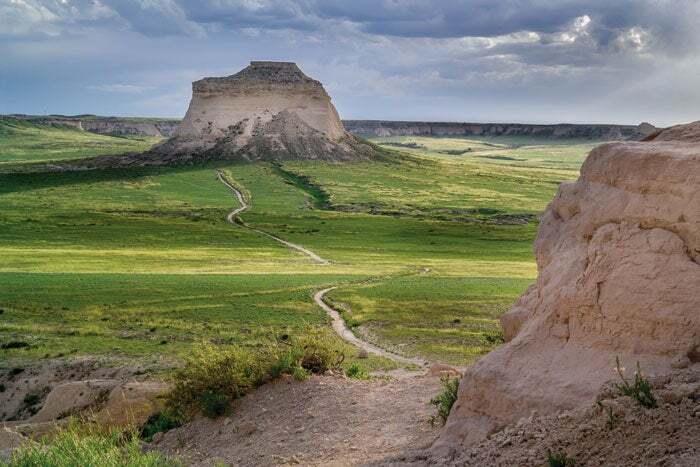 Located in a 900-square-mile, 10,000-foot-high grassland surrounded by peaks, the South Park National Heritage Area embodies the rugged, Old West that has ignited travelers imaginations for more than 300 years. Find this overlooked gem strung together by the towns of Fairplay, Como, Alma, Hartsel, Guffey, Grant and Bailey just an hour and half from Denver. A true highlight is South Park City Museum, an open-air museum with 34 authentic historic buildings and 60,000 artifacts from South Park’s gold and silver boom days. It’s located on Front Street&apos;s west end in Fairplay. Get your National Park Service passport stamped at the South Park Ranger District office in Fairplay. Escape the bustle everyday traffic, appointments and obligations and drive a couple of hours from Denver to the canyons and mountains of Park County and the REAL South Park. Hop out of bed early and head west on US 285 to grab breakfast at the tiny Cutthroat Café in Bailey. Or stop in at the Sasquache Outpost so you can hear the latest stories of sighting of Big Foot. Then jump back in the car to head further south and west toward South Park National Heritage Area. 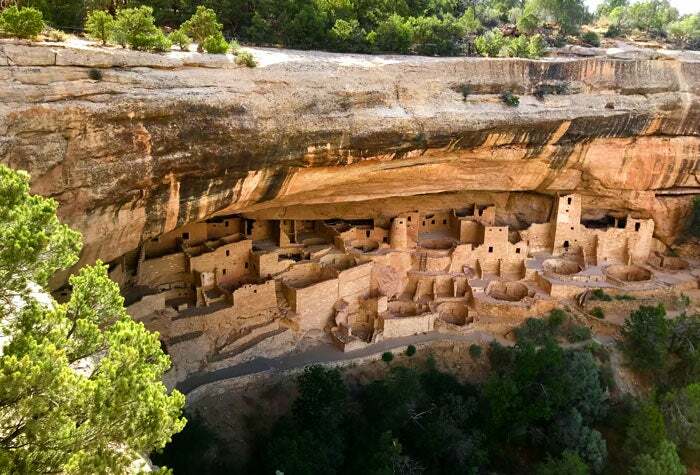 Try to spot the old railroad beds that still run alongside or above the highway along the canyon walls and imagine the trains chugging along bringing gold ore, or timber or cattle down to the markets in Denver. Wait for the moment that you top Kenosha Pass and get your first view of the South Park stretching out in front of you as our car winds down the pass to the ranch country. Kids will imagine Indians chasing herds of buffalo as you drive past wide-open pastureland and admire the cattle that dot the short-grass range. As you slow down for the town of Jefferson, you need to decide whether to turn right to go up to beautiful Jefferson Lake or head left to follow the Old Colorado City Road to Lake George. Stop for fudge at the Jefferson Store, and make the left turn onto the Tarryall Road. Begin winding your way down the road, sometimes catching a glimpse of the antelope herd that seems to hang around here pass historic ranches that still have the old homesteads – some from the late 1860s - and barns full of hay. There are roadside pull-offs with signs that describe what life was like in the early days that are also great places for photographing the mountains with snow on top, and the narrow, winding streams full of trout. One of the favorite places to take a break is at the Tarryall Reservoir. There are picnic tables that overlook the reservoir and you can try to spot the different water and shore birds that come for the summer. White pelicans, cormorants, swans, herons, and many other kinds of birds vie for the plentiful fish with families fishing along the shore. As you drive further south, the valley narrows and great rounded granite rocks line the roadway and river. Drive by fly fishermen as they flick their lines over the water and trout leap to try to catch the flies. Deer are often beside the road as you drive through increasingly wooded areas and expect you to wait as they stroll across the road. People have seen bobcats and possibly a mountain lion slipping through the shadows. There are still more historic ranches, and after rounding a corner. Stop at the little, white Tarryall School, where in the 1920s, kids rode their horses to school and the teacher lived in the tiny ‘teacherage’ in the back. Sometimes, there are people working at the school and you get a chance to peek inside of both buildings. Hopefully it will soon be open regularly for folks to tour inside. Once back in the car, drive further south to where the road meets US 24. Turn left and into the little town park to visit the Snair Cabin. Townspeople have furnished the homestead cabin just as it would have looked in the late 1800s. Grab some pizza and home-made pie at the café, or just pick up some lunch food at the country store and drive the road next to it (CR96) to the Eleven Mile Canyon Campground and go along the river on what was an old railroad bed through three tunnels to find a picnic spot and let the kids play along the stream. Then return to US 24 and turn left to go toward Hartsel. Go west on US 24 and stop at the Wilkerson Pass Visitor Center. It looks out over the South Park for miles and we like to use the interpretive signs to identify the different mountains that ring the big open valley. On down the straight-as-an-arrow highway is the quirky, little ranching town of Hartsel. Stop in the High Line Café and eat buffalo burgers while eavesdropping on cowboys and fishermen talking about the fishing in the South Platte River nearby. A mile or so west on US 24, turn right onto Colorado 9 and pass more ranches, a couple of which offer horseback rides into the open range. Take an afternoon ride. This really feels like you’re part of the west. Follow CO 9 into Fairplay and check into one of the four hotels in town. A favorite is the Hand Hotel which overlooks a little fishing and gold panning area on the river. Each room has a special theme - the “Outlaw” has a full bed and bunkbeds perfect for families. A horseback rider riding the fence along Tarryall Road. After a morning breakfast on the sunporch, stroll down the street to the South Park City Museum. (They are open May 15 to October 15.) 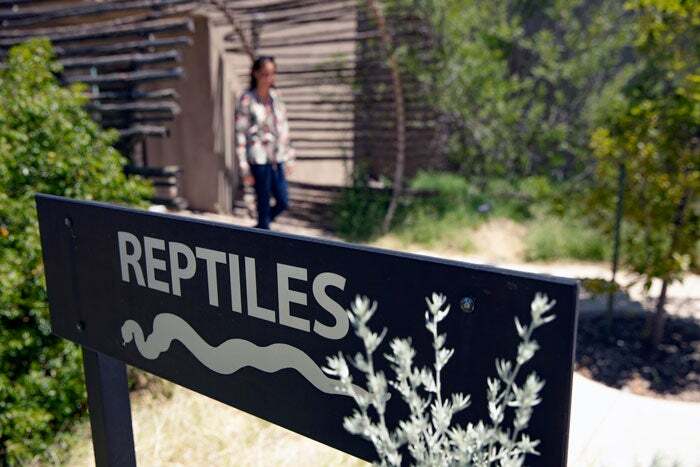 You&apos;ll spot something different every time you visit this reconstructed Old West town. It’s really relaxed here and has a lot of things to touch or explore. After a couple of hours, head out to US 285 and back toward Kenosha Pass, but first stop in little Como about 15 miles up the road just off the highway. There is a stone roundhouse, a railroad hotel and a fully restored train depot. They aren’t always open, but when there is someone there, you can visit the depot that is now full of old railroad stuff. Over a couple or three years this old building was brought back to life from nearly falling down. The Mountain Man Gallery has some great art and other stuff, and the owner will loan you a key to the one-room schoolhouse to see what school was like in the old days. Back on the highway and heading toward Denver, stop in Jefferson again, this time for the burgers at the Hungry Moose Restaurant that is an old train depot and caboose. Good stuff. Up and over Kenosha Pass and back into Platte Canyon. You can often see bighorn sheep at Grant in the late summer or fall. Neat, oh, and by the way, the fall trees are fantastic on Kenosha Pass. Gold aspens everywhere you look. If everyone still has energy, stop at the little McGraw Park in Bailey and walk across the old railroad bridge to a trail that goes up the hill for a way and back down. Peek in the windows of the historic buildings in the park and sometimes there is someone there to show you the insides. A favorite weekend stop for adults is the Aspen Peaks Winery just a few steps away. Try the latest wine offerings and maybe listen to a live band for a while, before heading back to the big city. With the South Park National Heritage Area and the gateway area of Pine Junction, Bailey, Shawnee and Grant only about an hour and a half drive from Denver, you can feel like Park County is your playground. Visit in every season. These three roads pass by the most scenic park views that can be seen from a car: Trail Ridge Road, Bear Lake Road and Old Fall River Road. Only have 48 hours? Make the most of your time by following our itinerary covering both sides of the park.